Sometimes when we squeeze in extra storage to a space it looks unsightly and not very neat. If you plan to add storage to your bathroom then you can do it in a manner that the storage is hidden away. 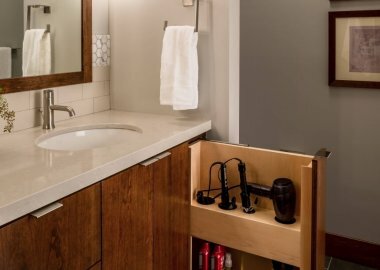 There are many ways to add concealed storage to a bathroom. Here they are: 1.